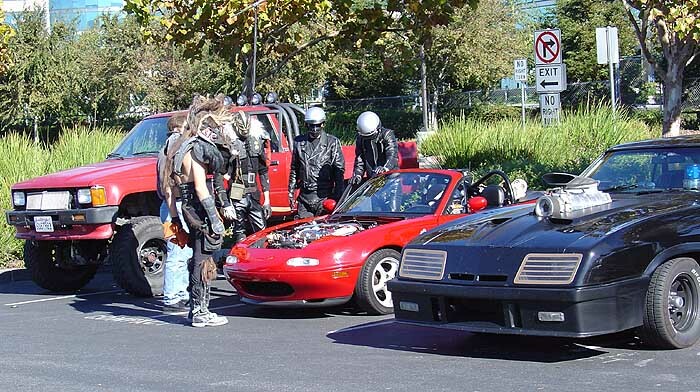 As far as can be determined, the first ever Mad Max fan event held in the United States was Roadwar USA in 2004. 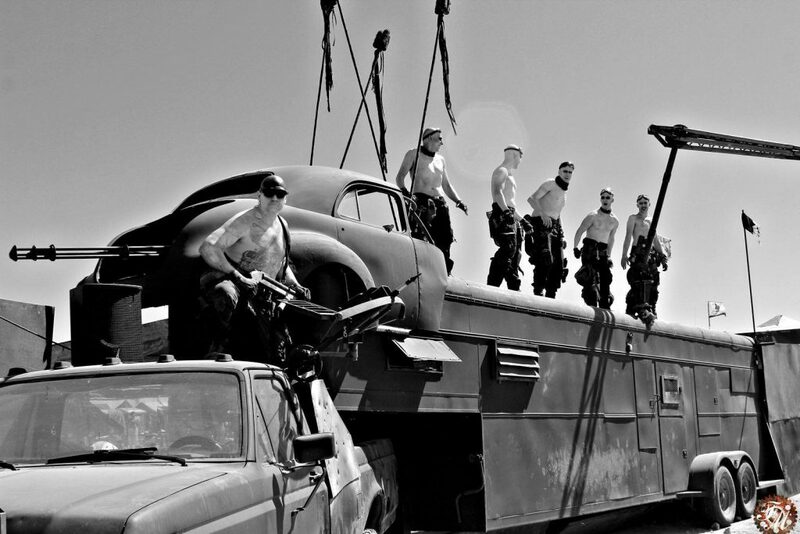 Organized by Karol Bartoszynski, it involved Mad Max fans in replica vehicles cruising down California’s 101 freeway alongside an oil tanker. 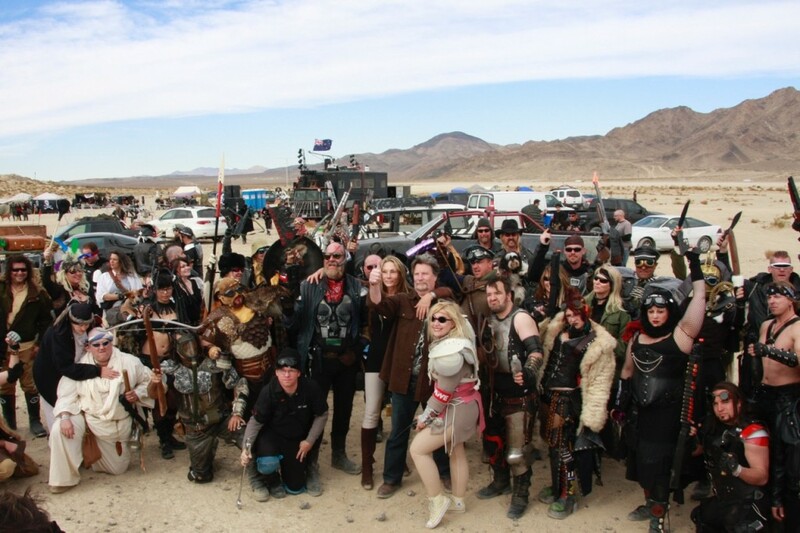 More Roadwar get-togethers followed, but what Karol and others really wanted was some kind of immersive Mad Max fan event in a desert environment. Then in 2009, an event promoter from the pirate fan community who went by the name Scarlett Harlott stepped forward onto the Mad Max scene, providing the “let’s just do it!” inspiration that ultimately made a Mad Max desert event happen. Karol quickly got involved with the organization of what became Road Warrior Weekend. Jared Butler got involved as well, working with Karol to create the original recordings for Wasteland Radio. RWW2009 was a small event, but undeniably fun, and it provided the proof of concept for a much larger vision. Because Road Warrior Weekend had been billed as a one-time event, a small group of attendees began serious planning for the continuation of the idea – before the weekend was even over. That group of attendees included the original three founders of Wasteland Weekend: Karol Bartoszynski, Jared Butler (a Los Angeles screenwriter and voice actor), and James Howard (a veteran of San Diego nightclub promoting and later founder of Outer Zone Overnights aka OZO). 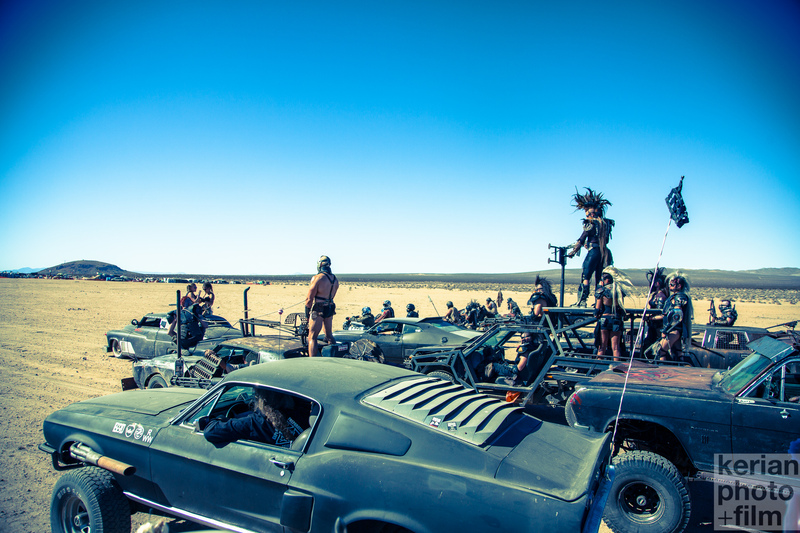 Together they set their sights on 2010 for their own Mad Max desert festival. Joined by other RWW veterans (including military re-enactor Paul Denton, who would almost single-handedly create the temporary sets and structures for the new event), they set out to create something that had never been done before: A fully-immersive fan event that would really feel like living inside a movie. Adam Chilson, a professional photographer and movie special effects artist, came on early in the event to help create promotional imagery. Wasteland Weekend was the result. 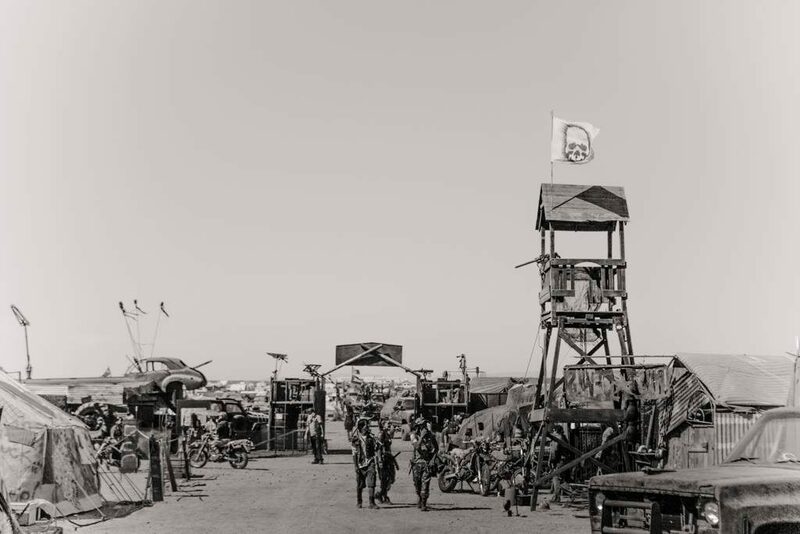 A desert festival based heavily on the Mad Max films, but incorporating other iconic pieces of post-apocalyptic pop culture. The 2010 event attracted around 400 people, as well as media attention. 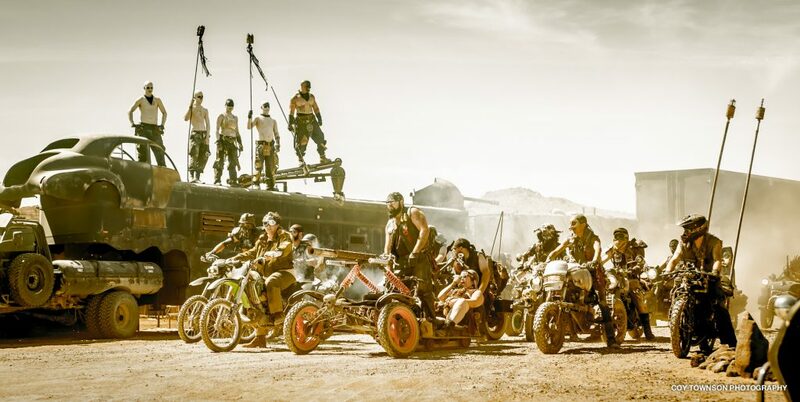 They even received a video greeting from George Miller, director of the Mad Max films, who sent along a sneak peak from the pre-production of Mad Max: Fury Road in Australia. In 2011, James Howard and Paul Denton moved on from the event, and Karol and Jared were joined at the senior management level by Adam Chilson, who not only brought his background in visual arts, but also a decade of trade show set-up experience. Adam became the event’s art director / build supervisor and provided the event with a permanent place to create and store big set pieces on his desert property (later to be known as the “Wasteland Construction Yard” or “Wasteland Workshop”). 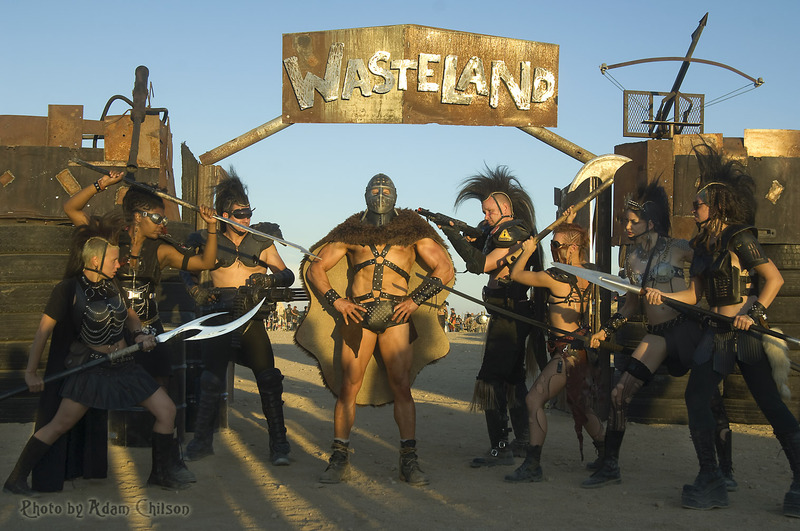 The 2011 event nearly doubled in size and included large new set pieces such as the iconic Wasteland Gates, as well as the now familiar layout that separated a completely themed “Wasteland City” from a less-strictly enforced camping and parking area for those attendees who may have had their costumes ready, but did not possess fully-themed cars or campsites. Perhaps most importantly, 2011 introduced the “tribe” concept. The first de facto tribe had been a group of teammates playing Jugger (a post-apocalyptic version of armed football/rugby, based on a cult 80s movie) and camping together at WW2010. Now, tribes became an officially-encouraged aspect of the event, and fans ran with the concept; one notable tribe from 2011 were the “Last Chancers” who began operating their “wasteland casino” that year. 2012 saw attendance at Wasteland increase to around 1,000 people, and the combined effort of staff and volunteers started to finally bring to fruition the founders’ dream of a fully-immersive, movie-like environment. 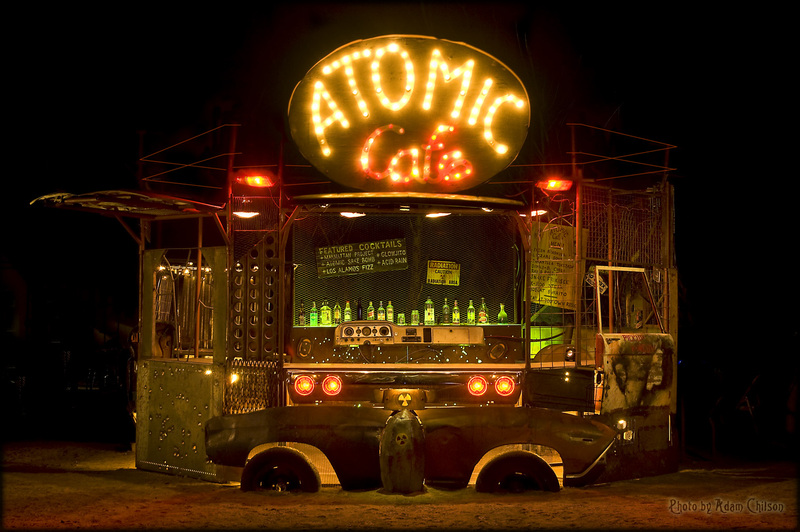 The current version of the Atomic Cafe bar was also introduced that year, built from discarded car parts. The following years saw more growth, and more spectacle, as attendees began to unveil campsites, vehicles, and costumes that they had worked on for years, inspired by their first visits to the annual gathering. In fact, by 2014 there were over 100 custom-made vehicles driven out to the event, from all over the continent. 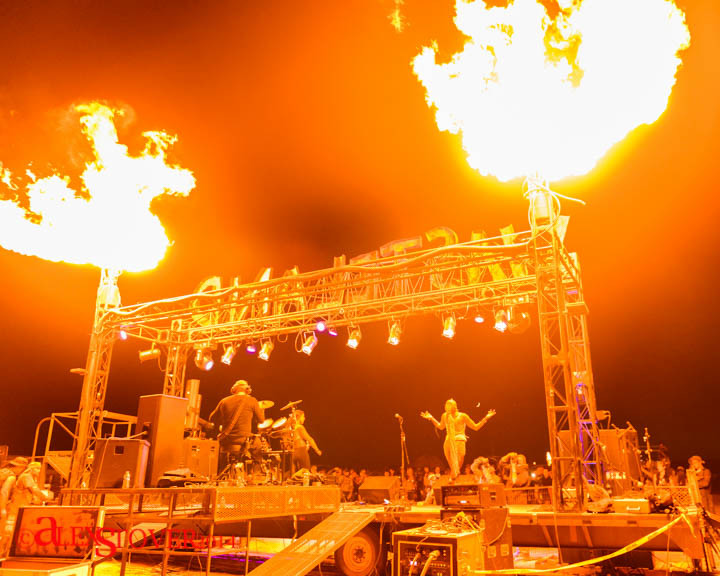 The live music aspect of the event began to come into its own as well, with a full lineup of bands playing on a custom-built Wasteland main stage in both 2013 and 2014. Other ongoing fixtures of the Wasteland Weekend environment also emerged over the years, including the car cruises, bounty hunting games, bonfire dance pit, film festival, fire spinning area, post office, RC car battles, the wasteland-makeover beauty parlor known as the Body Shop, and more. Co-founder Karol Bartoszynski left the organization after the 2014 event. 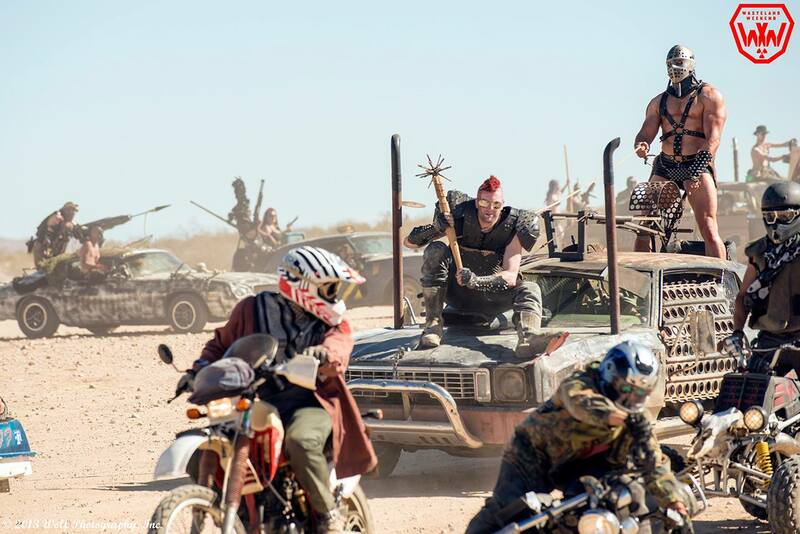 For 2015, with the long awaited release of Mad Max: Fury Road in theaters creating new fans, Wasteland Weekend saw even more growth, with attendance topping out around 2,000 people, not to mention more costumes, camp creations, and post-apocalyptic cars than could be seen anywhere else in the world. 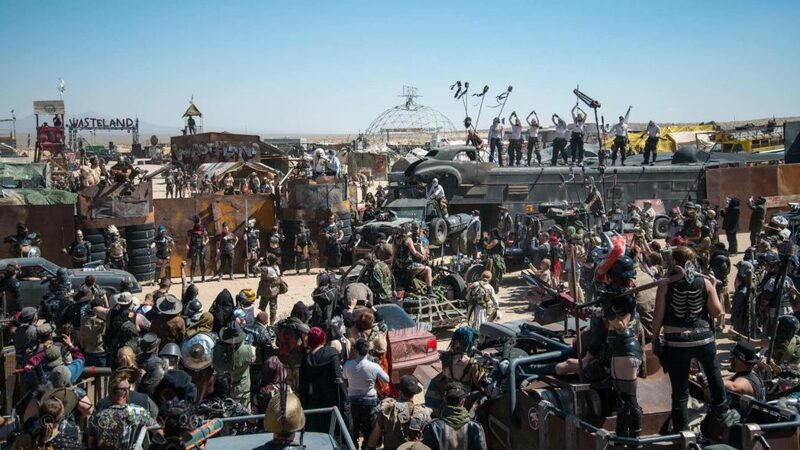 2015 also saw the addition of the Death Guild Thunderdome, long a tradition on the Burning Man playa, now taking its natural place among the revelers of Wasteland City. For the first time, tickets to the event sold out. 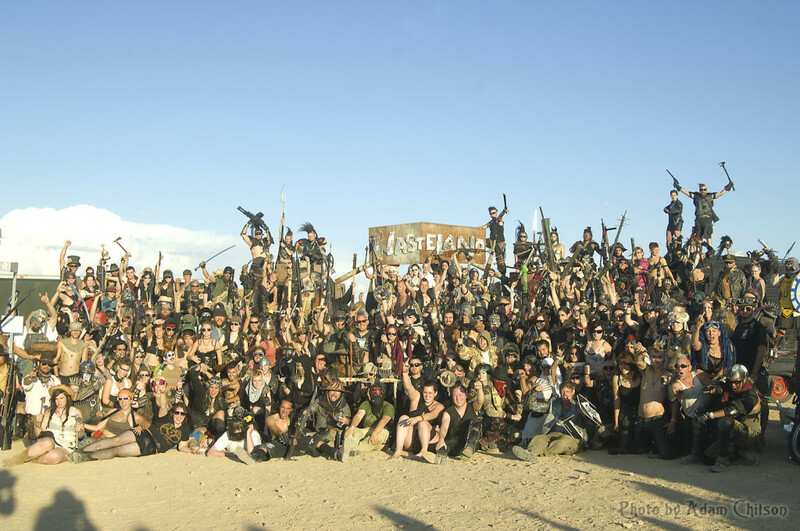 2016 was to be the final year at Wasteland’s original location in H-Park/Camp H in California City, a spot the event was rapidly outgrowing. 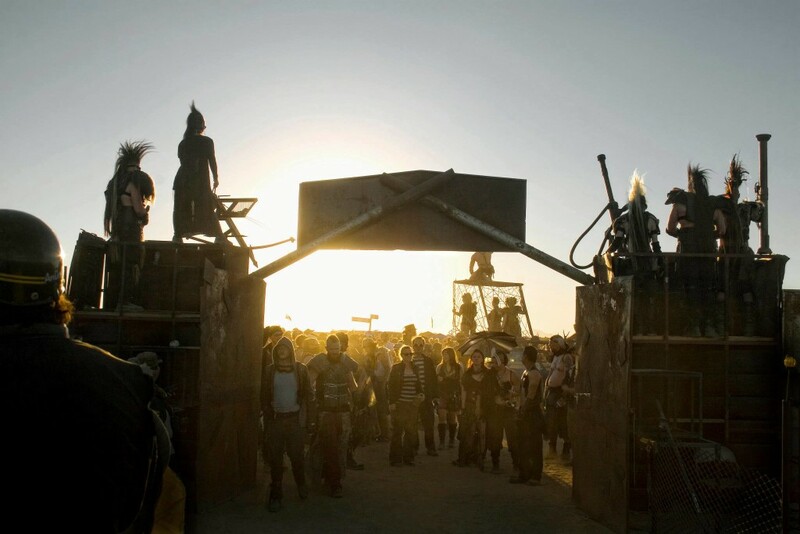 The theme zones were expanded significantly, with a large amount of themed camping by major tribes now taking place outside the walls of Wasteland City, as well as inside. Tribes went on a building spree, expanding camps and building towers, taking the city vertical and lighting it up more at night. The security and medical stations were upgraded to military-grade air-conditioned all-weather tents (which came in handy when Wasteland experienced its first ever dust storm on Thursday). Tickets to the event sold out for a second year in a row and the total population on site hit 3,200 people. 2017 marked a new beginning and a new home. A large piece of private property was purchased for the event, a few miles away from the old site. The event wasn’t just bigger, it was longer, having expanded to five days, running Wednesday through Sunday. Tickets sold out for the third consecutive year and the total population hit 3,800 people. A new theme zone was added specifically for the world of the Fallout video games. New main gates with new guard towers were built (with a new flaming “Wasteland” sign across the arch). Two side stages (run by the Nuclear Bombshells and the Wasted Saints tribes) were officially incorporated into the entertainment zone to host acts outside of the main stage. 11 live bands played (a new record) and an aerial performance rig known as The Roost was added near The Pit dance area. The car cruise had become so large that several smaller cruises were split off from it, including separate cruises (and judging) for replica vehicles, motorcycles, and ATVs. 2018 was the second year at the new location and Wastelanders were beginning to get familiar with the beautiful Mojave desert plain sheltered by rocky hills. 2018 featured a major upgrade to the Wasteland Film Festival movie theater, now located next to the main stage and showing films during the day in an AIR CONDITIONED theater. The archery range returned after some years away, and a THIRD entertainment zone was added in the newly built area known as THE DEN (anchored by the veteran Road Rash tribe). World-reknowned post-apocalyptic costume and prop makers, Mark Cordory from the U.K and Dmitri Zaitsev from Germany both flew over to teach workshops at the event, and our command center got a much expanded crew lounge that doubled as a workshop classroom. And on top of all that, actor Nathan Jones (Rictus Erectus from Mad Max: Fury Road) made a special appearance, wearing his actual costume from the film, sent over personally by director George Miller. 2019’s event is on the horizon. And it will be the TENTH Wasteland Weekend. Ten years. Hard to believe the end of the world has lasted this long. 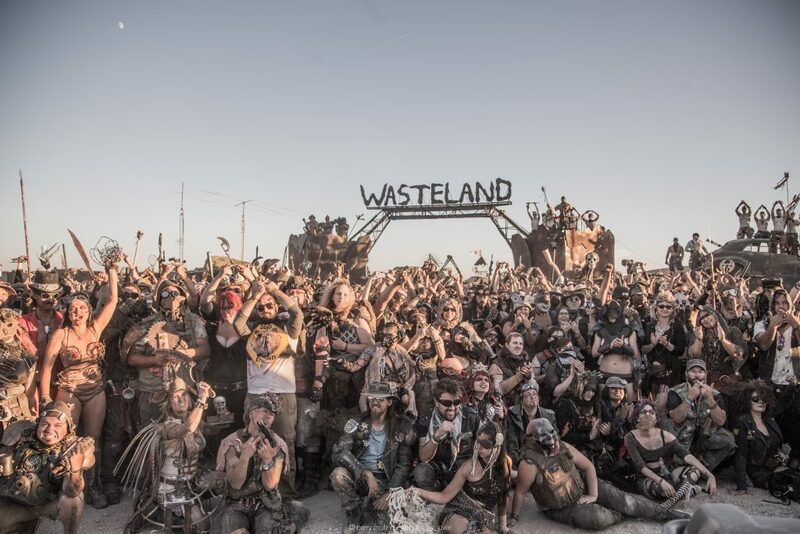 The future of Wasteland Weekend is looming large and bright – like a mushroom cloud.